It’s time to change your game day strategy. Publix is not just for food, gear up for game day by stocking up on snacks AND your favorite personal care products. Unilever and Publix are teaming up to show how we can all “Discover More In Store” with great deals on the best in hair care, skin care and deodorant. Assemble your personal care lineup with brand MVPs you already know and love like Dove, Suave, Axe, Degree and more! With a great variety at Publix you can get everything on your personal care list along with anything else you need to celebrate game day. 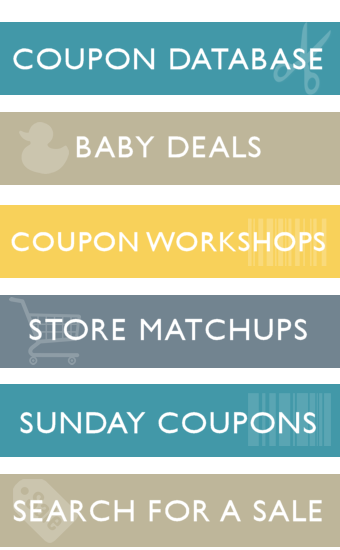 Discover More In Store your key destination for savings, how to’s and beauty tips.– there are several current Publix digital coupons available right now! To learn more, head over to the Discover More In Store Facebook page. It’s your key destination for savings, how to’s and beauty tips. Publix is giving away a $25 gift card to one lucky shopper! So you can stock up on these Unilever brands! Simply visit Discover More In Store and enter your information below! Publix just moved in, about 10 minutes away! I love Publix! There’s one on just about every corner here! I shop at Publix every week! Thanks for the giveaway. I love shopping at Publix. None of the other grocery stores can compare to Publix. It’s the best out there. I love shopping at Publix, expecially the BOGO sales and promotions. I will definitely be heading to Publix to stock up ondeodorant, body wash and shampoo. Thanks! Publix has really good deals, love the BOGO sales. And like the way they team up with companies to have these deals. We love to go to Publix when we visit my brother. Great store! I use Suave shampoo and conditioner and I buy it at Publix. LOVE Publix They have awesome store brand products and great BOGO deals! I love using Dove soap and shopping at Publix every week. Thanks for the chance!!! Thanks for the great giveaway—I love Publix and Dove body wash! Publix is one of my all time favorites stores! There are always such great deals and nothing quite beats their deli/bakery! Thanks for the chance to win! I love Publix! I love Publix and go here a minimum of twice per week. Discover More in Store- I sometimes find a bogo in the beauty aisle, too. We just got Publix here in the Triangle, I’d love to check them out! So glad Publix has made it’s way to North Carolina. It was my favorite place to shop in Florida. Publix is the best! I used to hate grocery shopping until i discovered Publix. They take the “chore” out of buying groceries! I live near Publix, and I love reading your blog as well. THank you for hosting this giveaway. Publix just opened 5 minutes away and I tend to choose to shop there now. This would help out with our groceries! I shopping at Publix. I hope to win. I would shop at Publix for the bread alone, such a great variety. I love my Publix and to match them up with Unilever is a win win! I love game day match up video! Publix is such a great place to shop and these are great products! Glad for a chance to win some. I love shopping at Publix and their pharmacy is the best! The pharmacy there is awesome and so is their bakery. Thanks for the giveaway! Just a few miles from my home. Store always nice and clean and workers very friendly. Love shopping there. Love Publix the best store.!! It is so clean and the peeps are very friendly…Thank goodness there is one in my town..
Florida. Luckily, I am six miles from two Publix stores! What an awesome prize! I love Publix, the best deals, best people, clean place to shop! Unilever products are awesome! Such good quality. Hope to win! Publix is my favorite place to shop for groceries! Such good values!! Publix is our store of choice! Wanting to try those new dry spray deodorants! Love their ads, really good deals. Great place to shop, really good deals. I always shop at Publix. They are so nice there. Publix is my favorite! I love their buy one, get one deals!! I love publix! Thanks for the giveaway. Publix is my favorite grocery store, and apparently everyone else as well since there are 10 or so Publix in my county. I’ve heard good things about Publix! I live shopping at Publix. i love publix for game day! I love shopping at Publix! They have a great variety and quality products. I absolutely LOVE Publix!! Best store ever!! I could also really use this gift card. Getting low on a few things. Thank you for this awesome giveaway!! I love Publix. They carry the best stuff at the best prices. We got our first Publix a little over a year ago. So fun! This is awesome! thanks so much. Gl everyone. I love shopping Publix’s organic section. They have such a variety of options to choose from. I do love their bakery and deli!! Last night I got their chicken and it was sooooo good! I would love to win this as it would be a great help with groceries & I love their deli as well! Thanks for the chance! Thank You So Much for the nice giveaway! My favorite grocery in Florida! I love shopping at Publix! Love Publix! Thanks for the giveaway. fingers crossed.. thank you for the chance to win!